Monday Update: Universal's Ride Along 2 debuted in first place over the four-day Martin Luther King holiday weekend with an estimated $41.55 million. The PG-13 rated comedy sequel starring Ice Cube and Kevin Hart debuted towards the lower end of expectations and 15 percent below the $48.63 million four-day start of 2014's Ride Along. The film had been widely expected to debut a bit below Ride Along due in part to less pre-release excitement and the potential for sequel fatigue. With that said, Ride Along 2 still registered the fourth largest four-day Martin Luther King weekend debut of all-time and the eighth largest thee-day January opening ever. Universal's revised three-day estimate for Ride Along 2 is $35.32 million. Ride Along 2 received a B+ rating on CinemaScore. While that's a solid score, it's also significantly softer than the A rating Ride Along received on CinemaScore and suggests that the film will be more front-loaded than its predecessor was. Thanks in part to healthy word of mouth and its 12 Academy Award nominations; Fox's The Revenant continued to exceed expectations with an estimated second place take of $39.0 million over the four-day frame. The Alejandro González Iñárritu directed western starring Leonardo DiCaprio held up significantly stronger on Sunday than Fox had been expecting yesterday. The Revenant was down a very slim 2 percent from last weekend's already stronger than expected debut. The Revenant has grossed an impressive $97.17 million after eleven days of wide release (and an additional two weeks of platform release). That places the film 26 percent ahead of the $77.32 million eleven-day take of 2010's Shutter Island. The Revenant represents another strong performer for DiCaprio and should continue to hold up well going forward. Fox's revised three-day estimate for The Revenant is $31.8 million. After leading the weekend box office for each of the past four frames, Disney's Star Wars: The Force Awakens fell to third place this weekend with an estimated four-day take of $32.57 million. The seventh chapter of the Star Wars franchise was down a solid 23 percent from last weekend. The Force Awakens passed the $850 million mark this weekend and continues to pad its total as the highest grossing film of all-time domestically with $858.50 million through 32 days of release. The film is currently running 70 percent ahead of the $504.87 million 32-day take of 2009's Avatar and 45 percent ahead of the $592.84 million 32-day gross of last year's Jurassic World. Disney's revised three-day estimate for The Force Awakens is $26.38 million. Without adjusting for ticket price inflation, The Force Awakens claimed the fourth largest three-day fifth weekend gross of all-time (behind only Avatar, 1997's Titanic and 2013's Frozen). Paramount's 13 Hours: The Secret Soldiers of Benghazi debuted in fourth place with an estimated four-day start of $19.65 million. The Michael Bay action thriller debuted a bit below expectations. While it wasn't expected to do so, 13 Hours was unable to deliver the type of break-out performance that other war themed thrillers such as American Sniper, Lone Survivor and Zero Dark Thirty have delivered in recent years during the month of January. Potential for 13 Hours appears to have been weakened by the politics that have surrounded the 2012 Benghazi attack, as well as the break-out performance of The Revenant. 13 Hours is running 26 percent behind the $26.42 million four-day start of 2012's Act of Valor. Paramount's revised three-day estimate for 13 Hours is $16.22 million. 13 Hours did receive a strong A rating on CinemaScore, which suggests that the film will hold up well going forward. Fellow Paramount release Daddy's Home rounded out the weekend's top five with an estimated four-day take of $12.0 million. The PG-13 rated comedy starring Will Ferrell and Mark Wahlberg was down a very solid 20 percent. Daddy's Home continues to impress with a stronger than expected 25-day gross of $131.96 million. That places the film 32 percent ahead of the $99.65 million 25-day take of 2010's The Other Guys. Paramount's revised three-day estimate for Daddy's Home is $9.54 million. Meanwhile, Norm of the North was off to a lackluster sixth place start this weekend with an estimated four-day take of $9.33 million. The modestly budgeted computer animated film from Lionsgate opened in line with its already low expectations. Martin Luther King weekend is typically a strong weekend for family films, but Norm of the North was unable to take advantage of the holiday frame. Norm of the North opened a very underwhelming 64 percent below the $25.70 million four-day start of 2014's The Nut Job. Lionsgate's revised three-day estimate for Norm of the North is $6.84 million. Norm of the North received a lackluster B- rating on CinemaScore, which isn't a good sign going forward. On top of that, the film will be facing added competition for family audiences from Fox's Kung Fu Panda 3 beginning on January 29. The Forest landed in seventh place with an estimated $7.02 million. The PG-13 horror film from Focus and Gramercy starring Natalie Dormer was down a respectable 45 percent from last weekend's debut. The Forest has grossed a stronger than expected $22.35 million in eleven days. That places the film essentially on par with the $22.40 million eleven-day gross of last year's The Woman in Black 2: Angel of Death. Focus' revised three-day estimate for The Forest is $6.02 million. Thanks in part to the five Academy Award nominations it received; Paramount's The Big Short was up 4 percent to take in an estimated eighth place four-day gross of $6.45 million. This weekend's hold was especially impressive given that The Big Short is playing in 764 fewer locations than it was last week. The Adam McKay directed comedy drama passed the $50 million mark this weekend and has grossed $51.77 million in 39 days. Paramount's revised three-day estimate for The Big Short is $5.30 million. Sunday Update: Universal's Ride Along 2 debuted in first place over the three-day portion of the Martin Luther King holiday weekend with an estimated $34.04 million. The PG-13 rated comedy sequel starring Ice Cube and Kevin Hart debuted on the low end of expectations and 18 percent below the $41.52 million three-day start of 2014's Ride Along. The film had been widely expected to debut a bit below Ride Along due in part to less pre-release excitement and the potential for sequel fatigue. With that said, Ride Along 2 still registered the fourth largest three-day Martin Luther King weekend debut of all-time and the eighth largest January opening ever. Universal's current four-day estimate for Ride Along 2 is $39.51 million. Ride Along 2 opened with $12.0 million on Friday (which included an estimated $1.26 million from Thursday night shows), increased 13 percent on Saturday to claim $13.61 million and is estimated to decrease 38 percent on Sunday to gross $8.43 million. That places the film's estimated opening weekend to Friday ratio at 2.84 to 1. The audience breakdown for Ride Along 2 skewed slightly towards female moviegoers (52 percent) and towards moviegoers under the age of 25 (55 percent). Ride Along 2 received a B+ rating on CinemaScore. While that's a solid score, it's also significantly softer than the A rating Ride Along received on CinemaScore and suggests that the film will be more front-loaded than its predecessor was. Thanks in part to healthy word of mouth and its 12 Academy Award nominations; Fox's The Revenant continued to exceed expectations with a close estimated second place take of $29.5 million over the three-day frame. The Alejandro González Iñárritu directed western starring Leonardo DiCaprio was down a slim 26 percent from last weekend's already stronger than expected debut. The Revenant has grossed an impressive $87.67 million after ten days of wide release (and an additional two weeks of platform release). That places the film 16 percent ahead of the $75.54 million ten-day start of 2010's Shutter Island (which fell 45 percent in its second weekend to gross $22.67 million). The Revenant represents another strong performer for DiCaprio and should continue to hold up well going forward. 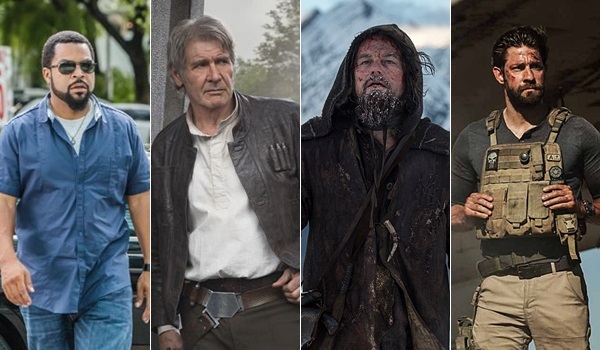 BoxOffice currently projects a four-day take of $35.0 million for The Revenant. After leading the weekend box office for each of the past four frames, Disney's Star Wars: The Force Awakens fell to third place this weekend with an estimated three-day take of $25.12 million. 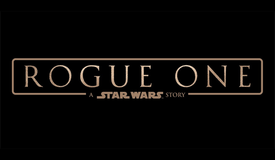 The seventh chapter of the Star Wars franchise was down a solid 41 percent from last weekend. Without adjusting for ticket price inflation, The Force Awakens claimed the fourth largest fifth weekend gross of all-time (behind only 2009's Avatar, 1997's Titanic and 2013's Frozen). The Force Awakens passed the $850 million mark this weekend and continues to pad its total as the highest grossing film of all-time domestically with $851.05 million through 31 days of release. The film is currently running 72.5 percent ahead of the $493.25 million 31-day take of Avatar and 44 percent ahead of the $590.69 million 31-day gross of last year's Jurassic World. Disney's four-day estimate for Star Wars: The Force Awakens stands at $31.0 million. Paramount's 13 Hours: The Secret Soldiers of Benghazi debuted in fourth place with an estimated three-day start of $16.0 million. The Michael Bay action thriller debuted a bit below expectations. While it wasn't expected to do so, 13 Hours was unable to deliver the type of break-out performance that other war themed thrillers such as American Sniper, Lone Survivor and Zero Dark Thirty have delivered in recent years during the month of January. Potential for 13 Hours appears to have been weakened by the politics that have surrounded the 2012 Benghazi attack. 13 Hours opened 35 percent below the $24.48 million three-day launch of 2012's Act of Valor. Paramount's current four-day estimate for 13 Hours is $19.0 million. 13 Hours started with $5.93 million on Friday (which included an estimated $0.90 million from Thursday night shows), decreased 2 percent on Saturday to take in $5.79 million and is estimated to decline 26 percent on Sunday to gross $4.29 million. That gives the film an estimated opening weekend to Friday ratio of 2.70 to 1. The audience breakdown for the film skewed towards male moviegoers (55 percent) and heavily towards moviegoers 25 years and older (79 percent). 13 Hours received a strong A rating on CinemaScore, which suggests that the film will hold up well going forward. 13 Hours will also be receiving an expansion into Canada next weekend (the film only opened in 7 locations in Canada this weekend). Fellow Paramount release Daddy's Home rounded out the weekend's top five with an estimated three-day take of $9.30 million. The PG-13 rated comedy starring Will Ferrell and Mark Wahlberg was down a solid 38 percent. Daddy's Home continues to impress with a stronger than expected 24-day gross of $129.26 million. 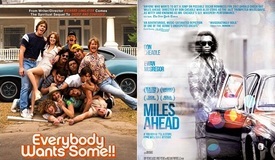 That places the film 30.5 percent ahead of the $99.02 million 24-day take of 2010's The Other Guys. Paramount's current four-day estimate for Daddy's Home stands at $11.35 million. Meanwhile, Norm of the North was off to a soft sixth place start this weekend with an estimated three-day take of $6.68 million. The modestly budgeted computer animated film from Lionsgate opened on the lower end of its already low expectations. Martin Luther King weekend is typically a strong weekend for family films, but Norm of the North was unable to take advantage of the holiday frame. Norm of the North opened a very underwhelming 66 percent below the $19.42 million three-day start of 2014's The Nut Job. Norm of the North took in $1.58 million on Friday, increased 90 percent on Saturday to gross $3.00 million and is estimated to fall 30 percent on Sunday to take in $2.10 million. That gives the film an estimated opening weekend to Friday ratio of 4.22 to 1. Norm of the North received a lackluster B- rating on CinemaScore, which isn't a good sign going forward. Lionsgate is currently estimating a four-day take of $8.80 million for Norm of the North. Thanks in part to the five Academy Award nominations it received; Paramount's The Big Short was down just 16 percent to claim an estimated eighth place three-day take of $5.20 million. The Adam McKay directed comedy drama passed the $50 million mark this weekend and has grossed $50.52 million in 38 days. Paramount's current four-day estimate for The Big Short is $6.25 million. Saturday Update: Universal reports that Ride Along 2 posted a solid $12 million opening day in first place on Friday, including Thursday night's $1.26 million opening show earnings. As expected, the sequel proved more front-loaded than its predecessor after those early shows, resulting in the overall opening day coming in 17 percent lower than the first film's $14.4 million Friday two years ago. Early word of mouth isn't quite as strong as the first film either, although still fair for its genre with a 68 percent Flixster score. BoxOffice projects a close race for first place over the three- and four-day MLK weekend, with Ride Along 2 coming out slightly ahead for the former period with $33 million and possibly in second place for the extended period with $38 million. Claiming second place yesterday was The Revenant as it eased 35 percent from last Friday to $9.3 million. The 12-time Oscar nominee continues riding a fantastic wave of buzz thanks to its 12 Oscar nominations and last weekend's major Golden Globe wins. The film has earned a total of $67.5 million so far and counting. 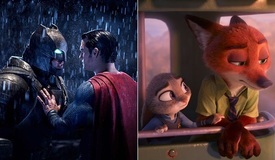 BoxOffice projects a $32.5 million three-day weekend with a chance at taking first place for the four-day frame with around $38.2 million. Star Wars: The Force Awakens added another $6.3 million on Friday, bringing its all-time record domestic haul up to $832.2 million through 29 days of release. The holiday weekend should be a strong one for the film as some families return to theaters for the first time since New Year's. 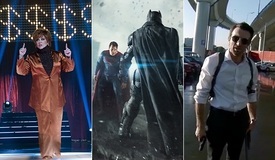 BoxOffice projects Force will score a $26.5 million 3-day frame and $33 million for the four-day weekend. Michael Bay's 13 Hours: The Secret Soldiers of Benghazi opened to $5.925 million on Friday, including Thursday's $900k pre-show sales. While not as strong as the opening of other military-focused releases around this time of year, that's a decent start for the film thanks to what seems to be positive word of mouth among the target audience. The film boasts an 84 percent Flixster score so far, and Paramount reports it earned an "A" CinemaScore. They also report nearly 41 percent of Friday business was earned in southern states (Florida and surrounding states) and the central south (Texas and surrounding states) compared to around 33 percent by other films in the same regions. BoxOffice is projecting a $16.5 million 3-day weekend and $19.0 million for the four-day. Filling out the top five, Daddy's Home added $2.5 million yesterday as it brought its domestic total up to $122.5 million. 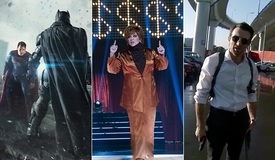 BoxOffice projects $9.5 million for the three-day and $12.2 million for the four-day. Meanwhile, Norm of the North debuted even more weakly than expected, unfortunately. The animated film took in just $1.58 million yesterday and looks headed for $6.4 million over the three-day and $8.5 million for the four-day weekend. Below are 3-day and 4-day projections (ranked by four-day grosses) for the top ten and other notable films. Friday Update: Sources report that Ride Along 2 earned an estimated $1.26 million from Thursday night's first shows, topping the $1.06 million earned by the first film two years ago. The original also opened over MLK weekend with $41.5 million for its three-day and $48.6 million for its four-day. Although last night's earnings topped that first flick, sequels tend to be more front-loaded and the gap between their Thursday night earnings is relatively modest. Rough projections put Ride Along 2 around $35-40 million for the three-day weekend. Meanwhile, 13 Hours landed a solid $900,000 from last night's early shows. That tops of the $750k of Michael Bay's previous non-Transformers flick (2013's Pain and Gain). With a strong marketing push toward military communities around the country, the film should net a healthy debut in the $20-25 million range for the three-day weekend. Also opening this weekend is Norm of the North, although it's not expected to make much of a dent at the box office with strong competition for family audiences already playing. Official Friday estimates and early weekend projections will be reported here at BoxOffice on Saturday morning.